Hand Held ImageTeam 5800 - Industrial linear imager with Keyboard wedge, USB & RS-232 interfaces. Includes user's guide. Order cables separately. See accessories. 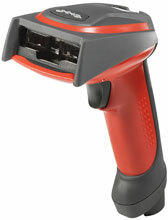 The Hand Held 5800SR050-0G00 is also known as HandHeld	HHP-5800SR0500G	or 5800SR0500G00	.